Trying out some Garam Masala powder from Silverspice. I used it to cook rice..very nice. Can be used for cooking meat or vegetables too. I didn't use Basmati rice but the original Jasmine Rice. 1. Heat up wok with ghee. 3. Add washed rice and garam masala powder and fry for 3 mins. 4. Remove and add to a large casserole pot. 5. Add water, cover the pot and MW on HIGH for 25 mins. 6. Leave it in the MW oven to stand for another 5 mins. 7. Remove and fluff up rice by tossing it inside the pot with a rice scoop. If you want to use a rice cooker to cook the rice, just add enough water to cook it. 3 cups of water is only for MW oven's method. Silver Spice brand is not sold at any shops in Singapore. Its marketed in UK and India. 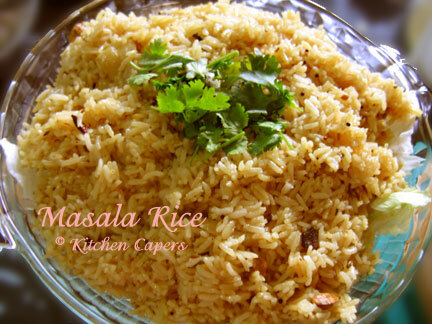 Since I have Basmati rice in my pantry, would like to try. Thanks for the recipe. Gina, when using cardamon seeds do I have to remove the green husk or just throw in as a whole? I saw an Indian rice recipe that require the husk to be removed. A little confused.